Well, thing is, they keep flying into candle flames (and I have a book which tells you why ). Placido wrote: Well, thing is, they keep flying into candle flames (and I have a book which tells you why ). Icarus had a similar problem with the sun. Permit me to demur - the Icarus thing was a parable about hubris and where it gets you in the end whereas the moth's unfortunate attraction to a candle flame is physical and where it gets you in the end. P.S. : Classic hubris may be found under DWD Cameron :laugh:and where it got him in the end. 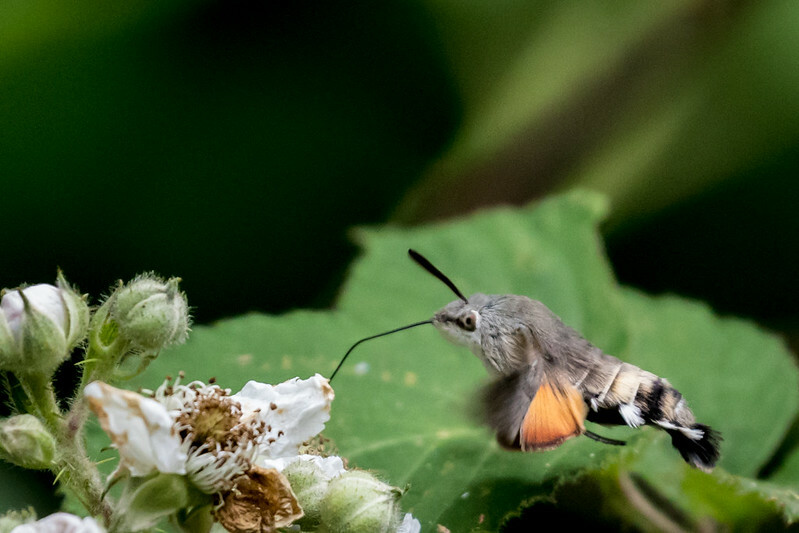 I saw a hummingbird hawkmoth for the first time today. Amazing to watch, hard to photograph!! Good first attempt Kev. I've always found them a bit too mobile for my cheapo camera and doubtful camera technique. A Brimstone Moth visited me today. Nice pic Kev. Have only ever seen one of those, and that was down the Isles of Scilly. Willpar wrote: Nice pic Kev. Have only ever seen one of those, and that was down the Isles of Scilly. I'm sure Kev will be delighted with the credit but actually it's my photo.